The River Lea is one of the main reasons why Wheathampstead is located where it is. The first human immigrants after the last Ice Age came from the continent up the Thames and the Lea and settled in the valleys that were rich in woodland and pasture. The remains of tools from the Stone Age, Iron Age and Bronze Age have been found in this area. In the first century BC, the Catuvellauni tribe settled here and this part of the Lea Valley has been occupied ever since. Following a treaty between King Alfred the Great and Guthrum the Old in 886, the river formed part of the boundary between Saxon England and the Danelaw, though this boundary was moved several times in later years. The river may derive its name from the Celtic ‘lug’ meaning ‘bright’, hence Lughton, now Luton. Both the river and the town may have been named after Lugh, the Celtic god of light and of the harvest. The source of the Lea is a natural spring that rises from the chalk aquifer at Leagrave in the Chiltern hills north of Luton. It flows some 42 miles through Bedfordshire, Hertfordshire and north-east London, where it becomes the Lee Navigation, and discharges into the Thames at Bow Creek. 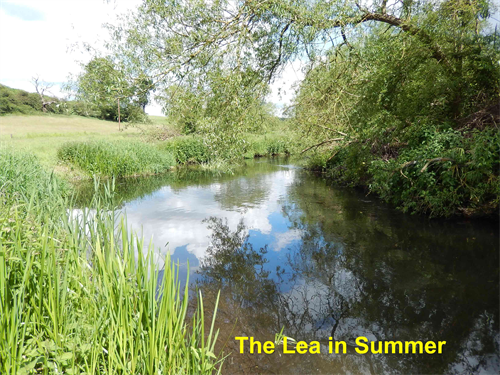 Tributaries further downstream include the Ash, the Rib, the Mimram, the Beane, and the Quin which together with the Lea, are officially classified as chalk streams – naturally shallow, fast-flowing and high in nutrients. There are only about 200 such streams/rivers in the world and most of these are in England. 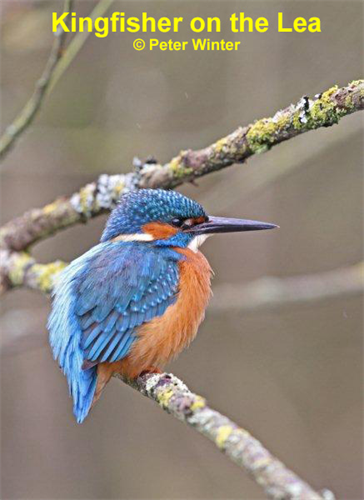 Chalk streams support a wide range of wildlife including species such as otters, water voles, mink and kingfishers and many species of coarse fish. The river enters the parish of Wheathampstead about 200 metres east of Batford Mill on the Lower Luton Road and leaves at Flint Bridge, which is also the boundary between the Ayot and Brocket estates. 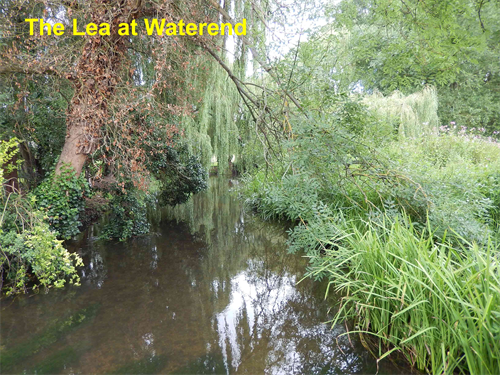 Riparian landowners in this stretch include private house-owners, farmers, livery stables, the Parish Council, the Verulam Angling Club and the Ayot estate, based at Waterend House. Until the railway arrived in the mid-19th century, the river was an important route both for trade and for travel, as well as providing a source of power through its watermills and food in the form of fish. There was a flourishing trade in watercress, which was grown in beds fed by springs such as those at Batford, Castle Farm (formerly Cresswell Farm) and Lemsford. The river has been managed, diverted, dredged, and controlled for hundreds of years, often with the aim of draining the surrounding marshes to create dry land for grazing and for growing crops. In medieval times, the manor of Wheathampstead was the main supplier of corn to the abbey of Westminster. Whilst many of these changes remain today, work is underway to address their negative impacts, part of a commitment made by the UK Government to improve the quality of all waterbodies (rivers, lakes and coastal waters) in the UK. 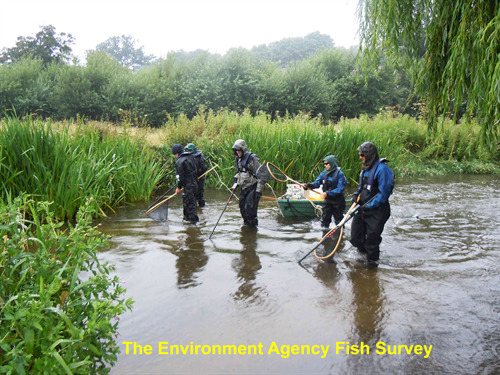 The Environment Agency carries out an annual survey of the fish stocks in the river at The Meads, measuring both their biomass and density. Biomass is a measure of the weight of all the fish in a given area, while density is a measure of the number of individual fish in the same area. In August 2014, the survey found that the biomass was high compared with other rivers in the area and had increased dramatically since 2004. Fish density had increased by 120% since 2013 and was the second highest ever recorded at this site, exceeded only in 2007. Chub and roach were the most abundant species, followed by dace and gudgeon. There were just a few perch. The report points out that the river is quite shallow and unsheltered at this point so the larger barbel were not present. Local anglers know that the good places for catching barbel are by the Mill Quay and in the two stretches that are owned or leased by the Verulam Angling Club at Marford Farm and at Leasey Bridge. Carp were also absent at The Meads though some large individuals have been caught both up and downstream. Grayling are also found in the river, having been re-introduced in 2012 by the Environment Agency, and also brown trout, introduced by a private fishing club further upstream in 2013. Anyone who has an EA licence can fish from Parish Council land at Mill Quay, in The Meads and at Melissa Field. For membership details of The Verulam Angling Club, see www.verulam-angling.co.uk. Fish spawn in the spring and early summer so no fishing is allowed anywhere on the river between 15 March and 15 June – the “close season”. They will pass your message to the Enforcement Officer who may be able to attend straight away or may contact the police to follow up on your report. Mammals that are particularly associated with the river include mink, water voles and water shrews. Otters, though found elsewhere in Hertfordshire, have not been seen locally for some years, though one was spotted at Lemsford Mill in 2012. Water voles were once abundant in this area but were wiped out, here as elsewhere in the country, by American mink that had escaped from mink farms. They are however slowly making a comeback in the county, with sightings and evidence at four new locations in 2014. Several sightings have been reported locally in the last two years but no definite evidence has yet been found. At least 20 mink are trapped in the Ayot estate each year and two were caught at Leasey Bridge in March 2015. 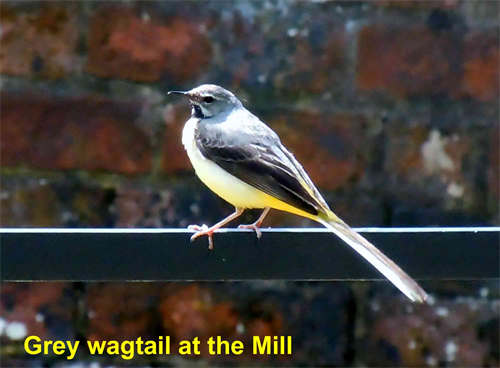 A variety of water birds can be seen on and near the river, including kingfishers (with at least three nesting sites in the parish), grey wagtails, little egrets, snipe, coots, moorhens, grey herons, mute swans, Canada geese and, of course, scores of mallards. A water rail nested at Marford Farm in recent years but has not been seen for a while. Ospreys sometimes pass through on migration to Scotland or Wales. 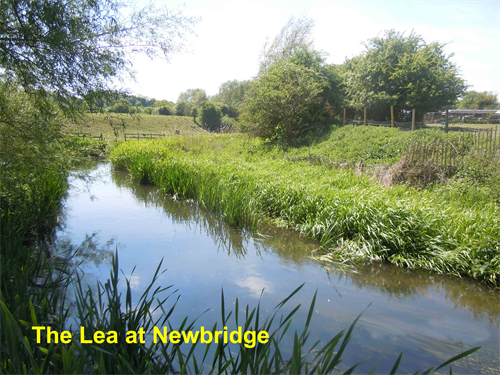 To find a list of other birds that can be seen along the Lea (particularly in the Meads) see The Meads and Meads Dell page. The river is rich in vegetation, including at least two varieties of Water Crowfoot, which grows beneath the surface and has a white flower, Fool’s Watercress, Yellow Flag, Purple Loosestrife, Water Mint, Water Plantain, Bulrush, Common Reed, and several species of rush and sedge. If you would like to carry out a botanical survey of the river, please contact the HMWT’s ranger Patrick McNeill. Like every river in England, the banks of the Lea are affected by the invasive plant Himalayan Balsam. Though its pink flower is attractive in summer, it out-competes other plants and spreads its seeds across a wide area. Where it grows in dense stands along river banks it can impede the flow at times of high rainfall, increasing the likelihood of flooding. When it dies back over the winter, it can leave river banks bare and exposed to erosion. It is listed under Schedule 9 to the Wildlife and Countryside Act 1981 and it is an offence to plant or otherwise allow it to grow in the wild, including allowing it to spread.